Today I’m featuring Alex and Ani bangle bracelets, which have been my go-to bracelets since 2013. 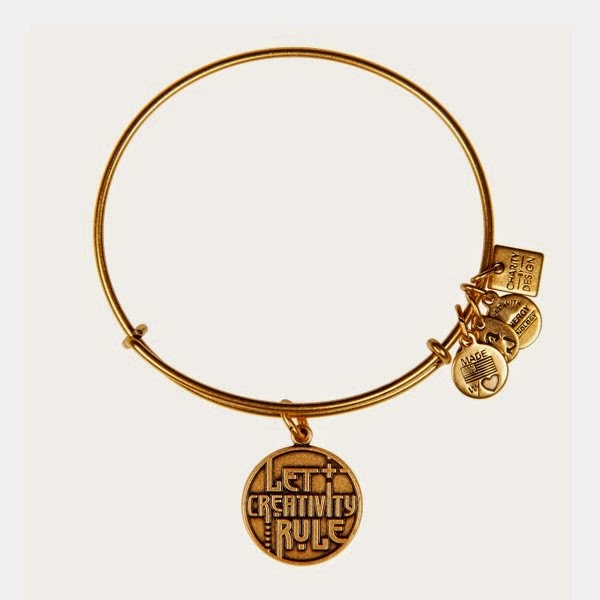 I discovered the bracelets when I attended Book Expo America in May 2013 and stumbled upon the Alex and Ani booth. I entered a giveaway and won a bangle set, and have been a fan of the brand ever since! I even mention them in Diamonds in the Rough—Savannah wears Alex and Ani bracelets to her first day at the Goodman School. 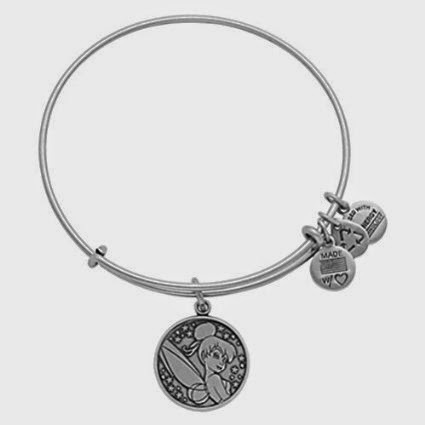 There are so many different collections of Alex and Ani bangle bracelets on their website, so you can be sure to find some that represent something important in your life. The bracelets are various prices depending on the type of material you want, but the basic charm bracelets are about $25 each, so they’re affordable. This one represents how important creativity and writing are in my life. 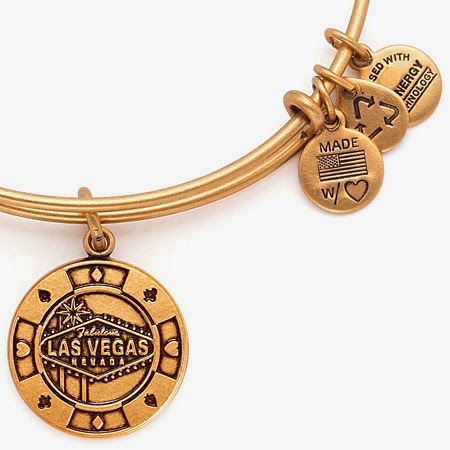 This one is part of the “place we love” collection, and I bought it because Las Vegas is the city that inspired The Secret Diamond Sisters, so the city has had a huge impact on my life. I purchased this a few days ago when I was in Disney World. I love Disney stories, and fairytales are my absolute favorite. This bracelet represents that Disney magic that I love so much. It’s apparently difficult to find if you’re not on Disney property, and while they do offer it on Amazon, it’s only available in the higher quality silver, so it’s double the price as the one I found on Disney property. Do you like Alex and Ani bracelets? Which ones do you have? Which ones do you want?